IT is already the third most visited sight in Spain. But the ‘academic bombshell’ that paintings at Nerja caves could be the oldest in existence is expected to take the tourist attraction to entirely new levels. The discovery came when charcoal pigments next to the six seal images were sent to Miami and found to be 43,000 years old. 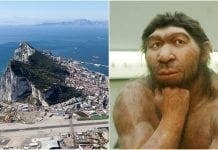 If the artwork is the same age – analysis which will be produced in 2013 – it means it was created by Neanderthals, and not Homo sapiens as was previously thought. 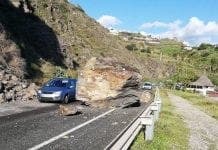 Nerja mayor Jose Alberto Armijo has since called for financial support, adding that the find will bring more people to Nerja and hopefully enable the town, whose visitor numbers have dwindled of late, to attract 500,000 annual visitors. Who are the same people who run Spain today, of course.